What a wonderful day! Although it’s been very, very quiet without the girls, I’ve gotten lots of stuff done. I also set some time aside to work on sewing. I’m getting a little bit better at making the zipper clutches from Noodlehead. I’ve still got to figure out how to get the zipper ends to look nice, but I’m making progress. Also, I’m very excited about a book I downloaded last night for my Kindle. This is a story of how a CEO faced his own struggle to obey God, whatever the cost, and his passionate call for Christians to change the world by actively living out their faith. Believing that the “good news” is more than a private transaction between God and us, Stearns challenges readers with this question: What does God expect of us? Two thousand years ago, twelve people changed the world. Stearns believes it can happen again. The author walked away from being CEO of Lenox (the china and crystal company) to lead World Vision. I’m so intrigued by his thoughts about leading a true Christian life. What does it really mean to be a Christian? Is it more than being “good,” attending church, reading the Bible and tithing? What if we all followed Stearns path…even just a little bit more than what we’re already doing? I’ve just started the book, but I’m already enjoying the story and rolling the ideas around in my head. 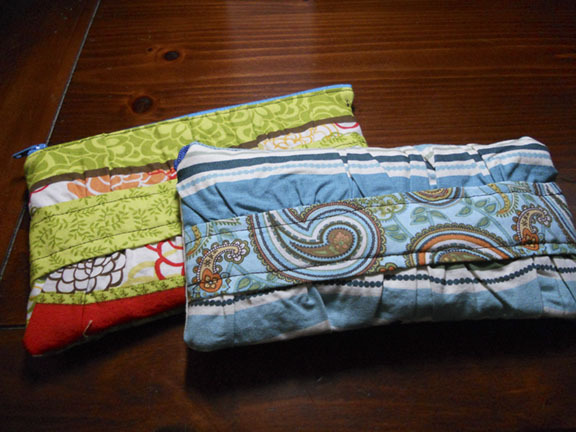 This entry was posted in Sewing and tagged life, sewing. Bookmark the permalink.